From the Land of the Missing Posts: repost from September 2012. 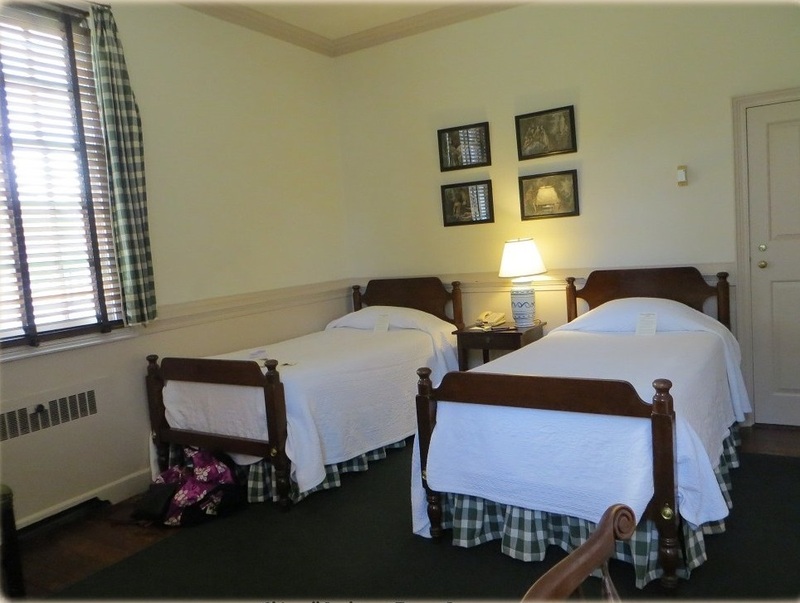 I was in Williamsburg for an non-History Tourist event over the Labor Day weekend and took the opportunity to stay at a Colonial Williamsburg tavern. 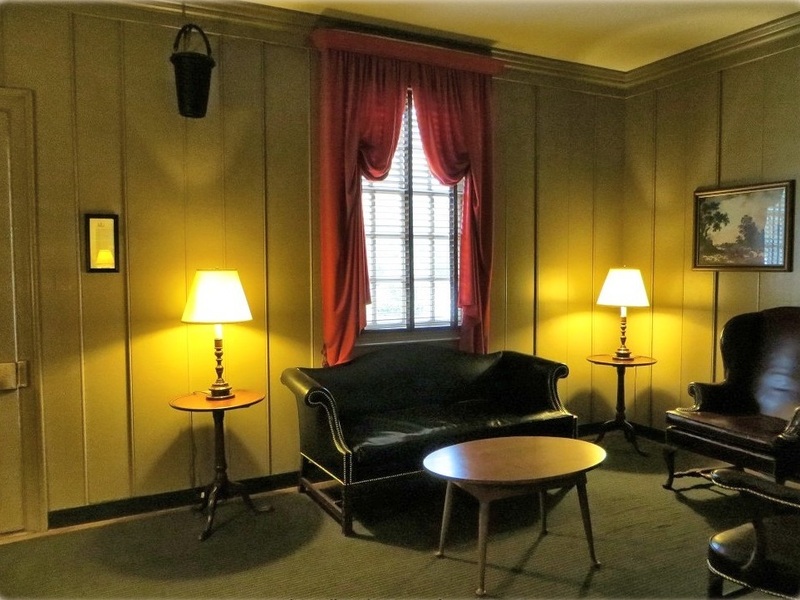 Colonial Williamsburg has turned several of its recreated taverns, shops, houses and dependencies — dotted throughout the historic area — into hotel rooms collectively known as the “Colonial Houses.” That’s where I almost always stay when I’m anywhere near the area. This trip, I was in the Chiswell Bucktrout House, built by Colonel John Chiswell. 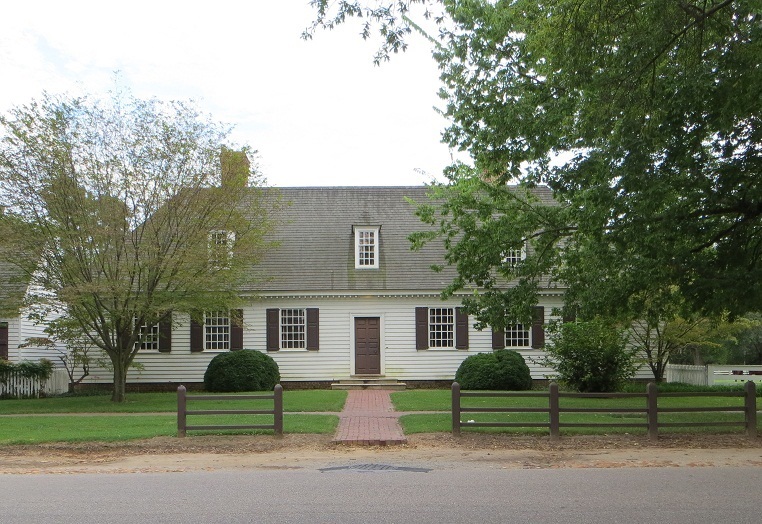 He was a member of the Virginia House of Burgesses from 1742 to 1758, as well as part owner of Raleigh Tavern, a popular upscale watering hole in 18th century Williamsburg. Out on bail after being accused of murder, he himself was murdered before he could go to trial. The Bucktrout comes from Benjamin Bucktrout, a cabinet maker who bought the property after Col. Chriswell’s death. The Chiswell Bucktrout House is at least partially original — it was reconstructed using the surviving portions as a template. Each Colonial Houses room is different. The free standing houses and dependencies can be luxurious, with sitting rooms, fireplaces, and canopied beds, and are priced accordingly. The rooms in taverns generally are decorated simply, and they are the least expensive. I prefer the tavern rooms not only for their value — they don’t cost much more than the average mid-tier hotel — but because they tend to be located in the center of the historic area, just a toddle to all the action. Taverns also have one amenity that isn’t available in the other colonial houses: wifi. It’s not available in the individuals rooms, but you can get it in the tavern common room. Other than the missing wifi, the Colonial Houses have all modern hotel room amenities. What the Colonial Houses doesn’t have is its own infrastructure. It’s treated as part of the Williamsburg Inn. I checked in at the Williamsburg Inn, and an Inn doorman led me — he on a bicycle and me in my car — to the tavern. There’s parking at each Colonial House. 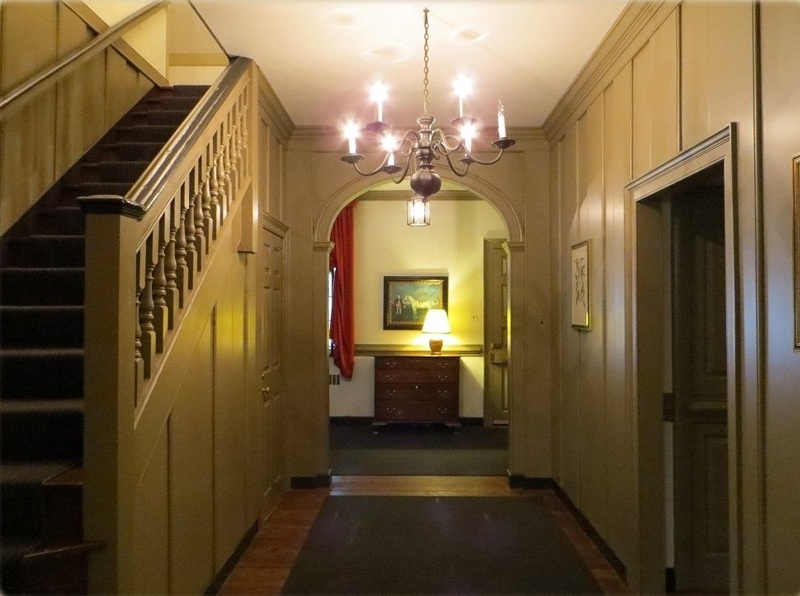 Colonial Houses guests also can use the Inn’s amenities — concierge, pool, free morning coffee. Being an early riser who who can’t function without my morning coffee, let me take this opportunity to complain that none of the restaurants selling breakfast within walking distance of Colonial Williamsburg open until 7:00 am. Keeping me waiting an hour or two for coffee is not advisable and making me get into my car to look for a Starbucks — unforgivable. The good news: the Williamsburg Inn puts out free coffee off the lobby early in the morning. I don’t know what time, but it’s always been there when I’ve gone 6ish. The bad news: it can be a hike to the Williamsburg Inn, depending on the location of your Colonial House. There’s a PDF on the Colonial Williamsburg website with descriptions and floor plans for all of the Colonial Houses. If you’re looking for the full colonial experience at Williamsburg, I’d recommend the Colonial Houses. Gorgeous rooms, Williamsburg does the best reproduction furniture. But driving before coffee – not a good idea. These days I only have to do that for a fasting blood test, and I usually have two large Cappucino’s waiting in the car. They do have the best reproduction furniture. I remember when they had a huge reproduction furniture store on-site. It seems to have gone away, so I wonder if their furniture is no longer available. Not that I could ever afford it…..
You should definitely look into the colonial homes — such a fun place to stay in Williamsburg. And within easy walking distance to all things WM, as you know. How lucky you were to go there. Alma mater of Thomas Jefferson. And four years of living right next door to Colonial Williamsburg.